One of the most important things the Schweitzer Fellowship does is to allow Fellows to continue, expand, or fine-tune existing Fellowship projects so that they may have an even greater, sustained impact in the communities they were created to serve. 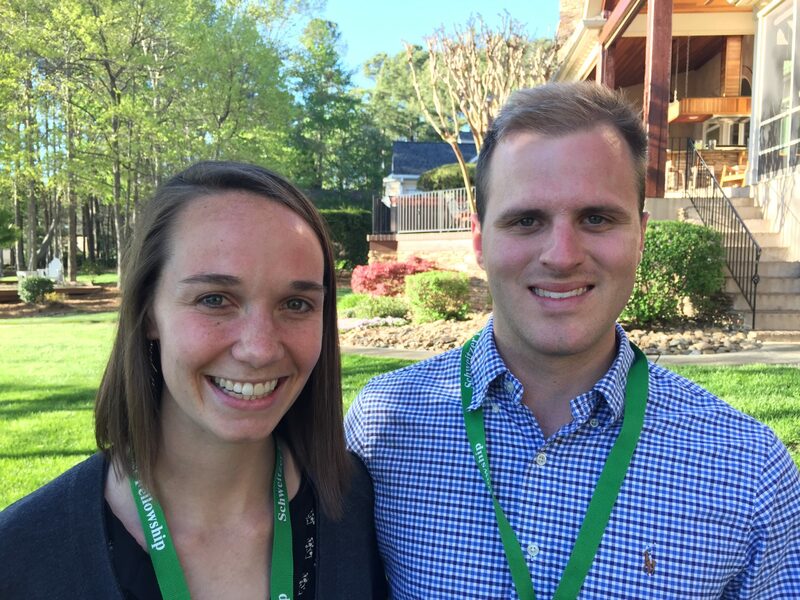 North Carolina Fellows Molly Crenshaw and Nicholas “Nico” Lenze, for example, are building upon the great work that their fellow UNC School of Medicine student Herodes Guzman did in launching his Diabetes Education Program at Carrboro Community Health Center as a 2016-’17 North Carolina Fellow. The Diabetes Education Program uses patient-led group visits and monthly insulin education clinics to help patients with diabetes better understand their disease and treatment regimen and take control of their health. Crenshaw and Lenze, seeing a need to better serve the health center’s population of Spanish-speaking patients with type 2 diabetes, added an educational home visit component aimed at meeting the patients where they live to understand their barriers to health. Crenshaw and Lenze are excited about the different ways their project has provided tangible impact. In one instance, a man had been relying on his daughters to administer his insulin, which amounted to him missing medications about six days per week. Crenshaw and Lenze spent a significant amount of time helping him understand how to use his insulin pen on his own. At a return visit a couple months later, the patient reported that he had been giving himself the medication daily, and as a result a number of his bothersome symptoms had waned. “He was grateful that we took the time to educate him, and we could tell that he felt empowered simply by attending a clinic one morning,” said Crenshaw. The Fellows realize the importance of ensuring the home visits, group sessions and insulin clinics all are sustained beyond their Fellowship year. They are working with UNC’s Comprehensive Advanced Medical Program of Spanish (CAMPOS) to ensure their Schweitzer project continues its impact. Most importantly, the Fellows developed a protocol for home visits so future patients will be assured of the same standard of care. Both Crenshaw and Lenze say they’re grateful for their Fellowship experiences and look forward to joining the network of Fellows for Life. “Our class of North Carolina Schweitzer Fellows has inspiring projects, and I’m grateful to have met some people who I hopefully will continue to work with professionally in years to come,” said Crenshaw. Crenshaw and Lenze say that this project would not have been possible without the continuous support from Lisanna Gonzalez, Dr. Abigail DeVries, and Dr. Rupal Yu, their mentors at the Carrboro Community Health Center. They are also very grateful for the mentorship provided by Dr. Marco Alemán, who leads the CAMPOS program at UNC School of Medicine.